This competition proves that anyone can save the world! 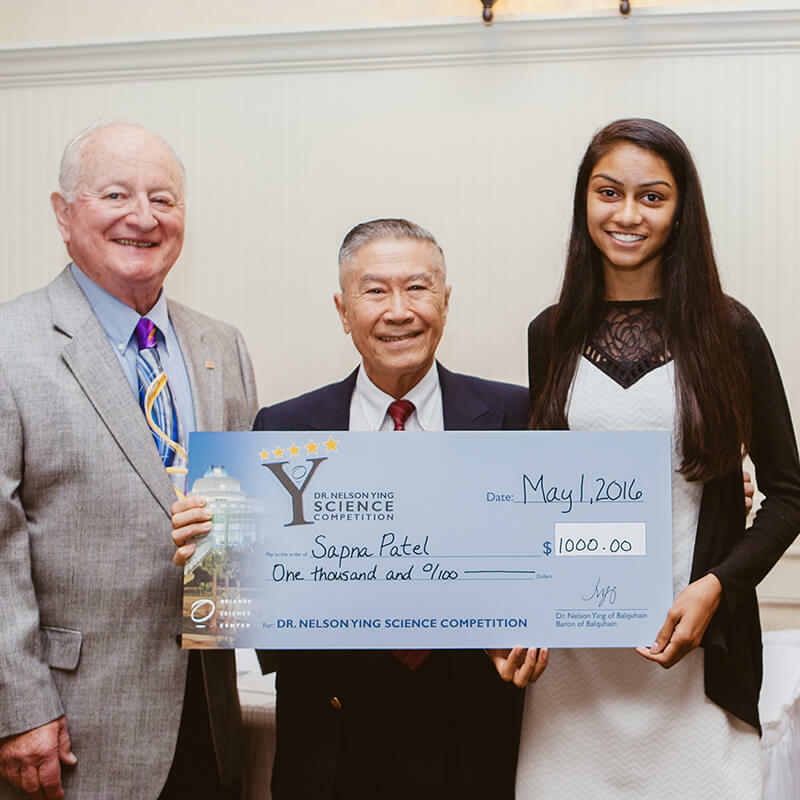 High-school students are encouraged to pursue projects that can help humanity through independent scientific research. 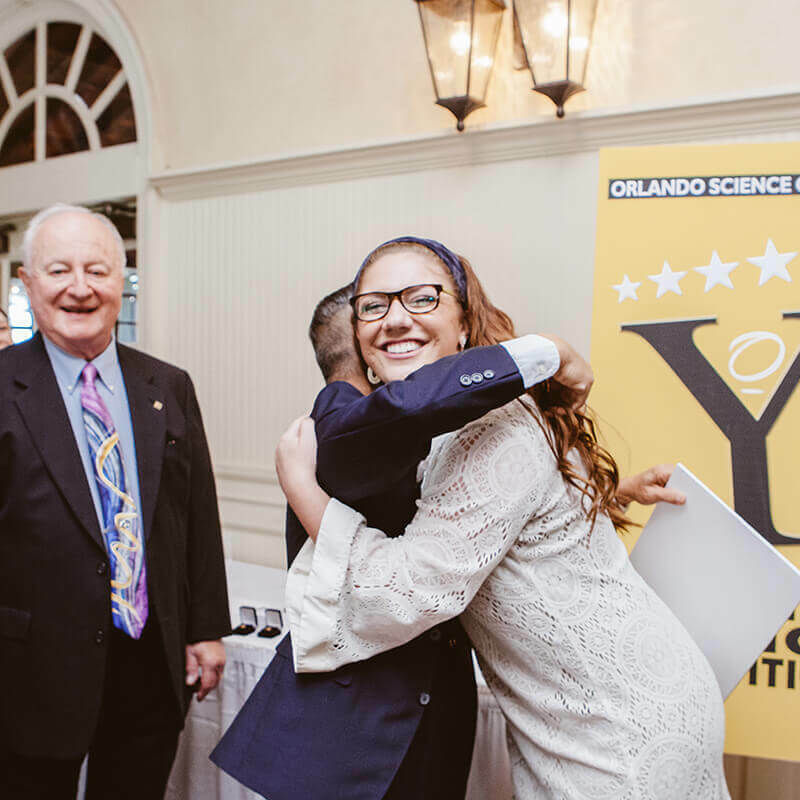 Local scientist, entrepreneur and philanthropist Dr. Nelson Ying has partnered with Orlando Science Center since 1999 to celebrate local students’ exemplary achievements through the Dr. Nelson Ying Science Competition. 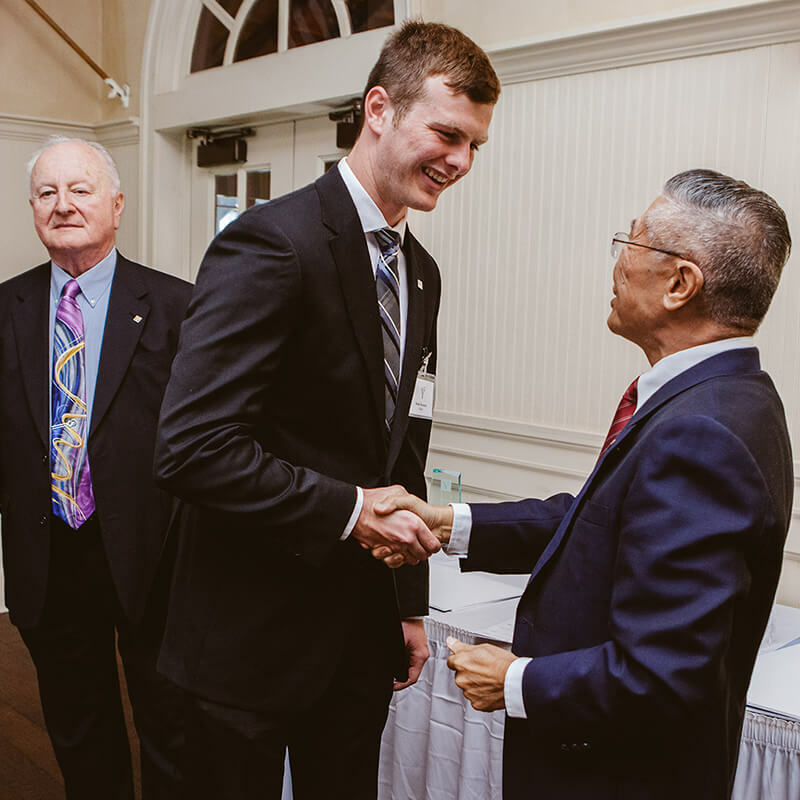 Students submit research papers to be reviewed by a distinguished panel of judges and can earn up to $5,000, plus additional awards for their schools and teachers. This competition is open to individual students in Grades 9-12. Projects can be classified into a wide range of STEM topics, but they always have one thing in common: the goal to help humanity through scientific research. For her project, she researched bioceramic alternatives and enhancements with the goal of healing weak or broken bones. Calista also won 1st place in her division at the Brevard County science fair this year. She will be attending Cornell University in the fall. 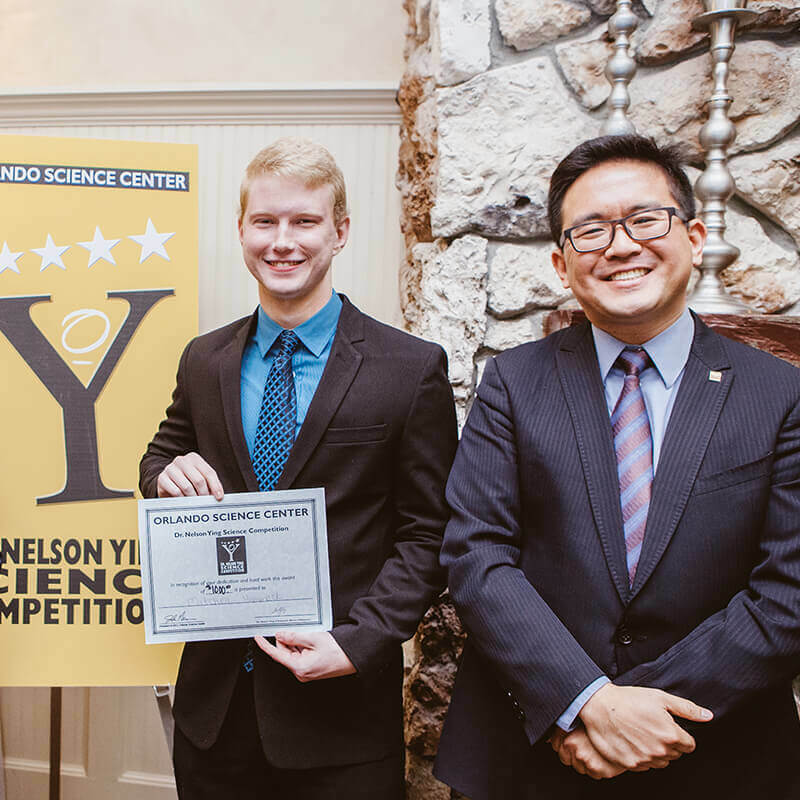 For his project, he produced more efficient supercapacitors from activated carbon derived from compost. Sam and his science partner also won 1st place in their division in the Seminole County Science Fair this year. They also won Best of Fair in the Orlando Science Center’s Science Challenge.